Why did it go from the hopeful meeting to saber rattling between the two South Asian neighbors? Did the Modi government cave in to pressure from within his Hindu Nationalist base? Have India's leaders whipped up so much anti-Pakistan hysteria that they have made it extremely difficult to talk peace and friendship with the western neighbor? Has the talk of "chhappan inch ki chhati" (56 inch chest) and "boli nahi goli" (bullets, not talks) radicalized Mr. Modi's base and left little room to maneuver for his government on its Pakistan policy? Islamabad High Court suspended the sentences of Pakistan's former Prime Minister Nawaz Sharif, his daughter and son-in-law and ordered their release while Prime Minister Imran Khan was in Saudi Arabia on a state visit. Did this release happen under a deal involving the Saudi Royal Family? Or is it a mere coincidence? In the same way that Trump is the perfect metaphor for the US, Modi is the perfect metaphor for his own country. Small men often talk big, and try to overcompensate for their physical shortcomings with comical expressions such as "56 inch chest" - this represents hindustan's national mindset very accurately, as a nation that tries to maintain hysterical levels of faux patriotism in an attempt to paper over ethno-lingual differences, deep religious hostilities, a history of subjugation and servitude, crippling levels of malnutrition, and a fundamental sense of national insecurity. IK was forced to give a sharp response after this recent exchange, but he has to be credited with giving a very accurate one also. "IFS does not draft such election oriented statements or take such hasty flip flop decisions. Seems handiwork of 'muscular' thinking. More 'brawn' than 'brain'!" This week, the Narendra Modi government first agreed to schedule a meeting between the foreign ministers of India and Pakistan in New York, but then changed its mind within 24 hours, issuing an abrasively-drafted statement accusing Prime Minister Imran Khan of showing his “true face”. The Indian statement drew an angry retort from the Pakistani foreign office and then from Khan himself. As analysts in both countries say the exchange has effectively ended the prospect of any engagement between Islamabad and New Delhi for the forseeable future, The Wire breaks down the sequence of events of this latest debacle in India-Pakistan ties to examine what the episode tells us about the entire decision-making in India. 1. While Imran Khan’s letter did become public on September 20, why was the Indian government in a hurry to make a public announcement accepting Pakistan’s proposal for talks at New York on the same day? 2. Once the announcement was made, the Indian government cites the “latest killing” of Indian security personnel for cancelling the foreign minister-level talks. Why wasn’t the same reason used a day earlier when reports of the mutilation of a BSF soldier had been confirmed? 3. India’s announcement that it would meet Pakistan’s foreign minister in New York was made on the afternoon of September 20. The Times of India report on the ‘Burhan Wani stamps’ was published the same morning. Since the government was aware of the reports of the release of the stamps, why wasn’t it a factor in the decision-making on Thursday, but used as a reason to cancel the talks on Friday? 4. Foreign ministries use language carefully to allow space for future manoeuvres and the use of rhetoric escalates slowly depending on the scale of events. Why did the Indian statement personally attack the one-month-old Pakistan prime minister, in a break from its own precedence? 5. Since Imran Khan’s letter was addressed to Narendra Modi, it is obvious that the decision to schedule the meeting of foreign ministers was cleared by the prime minister himself, presumably on the advice of his national security adviser, Ajit Doval. 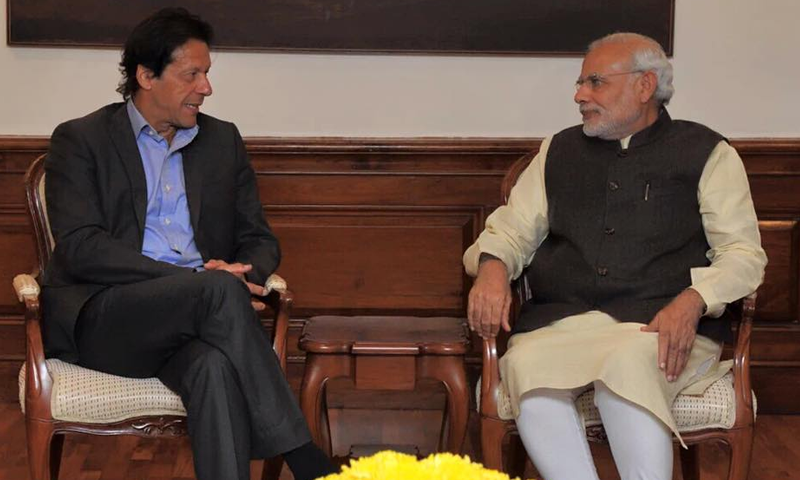 Even if Modi, as a politician facing re-election, has to consider the domestic political fall-out from the Pakistani establishment’s involvement in violence and terror inside India, why did he not take those into account before agreeing to the meet in the first place? 1) The duck theory: If it smells like a duck, sounds like a duck and looks like a duck, there's a damn good chance it is, in fact, a duck. In South Asia, and no matter how much Indian governments over the years have attempted to deny the suggestion, India is viewed as a regional hegemon. Whether as a result of being the largest economic and military power in South Asia, having played a role in its neighbouring countries like the 1971 Liberation of Bangladesh and the Indian Peace Keeping Force's operations to neutralise the LTTE in Sri Lanka (the narrative around foreign intervention can change very swiftly from 'help' to 'invasion', depending on whom you ask), or being willing to provide financial, infrastructural and training-related aid, India has and will be viewed as hegemon in South Asia. And no one likes a bully. 2) You don't stack up to China: Aside from the shared geography, India and its neighbours have a common history, many common traditions and ethnicities, and a rich common heritage, aside from facing very similar issues and problems. Further, India has a great deal to offer its neighbours financially, infrastructurally and so on, as mentioned in the previous point. China, unfortunately, has a whole lot more to contribute financially, technologically and infrastructurally, without any of the squabbles that usually emerge from a common history (see: Tamils issue with Sri Lanka). 3) The flip-flop nature of outreach: The problem with being energetic and proactive is that it often leaves the door open for hasty decisions and even hastier volte faces. In its first couple of years, the Modi government went on a rampage in terms of reaching out to the neighbourhood and trying to strike a new note that would be conducive to harmonious coexistence, particularly since the BJP has always maintained that two successive UPA regimes "failed to establish enduring friendly and cooperative relations with India's neighbours". The groundwork laid during the first phase of outreach was impressive in terms of optics. However, the government appears to have miscalculated that sentiment on the ground would reflect the pleasantness and bonhomie on show in photo-ops. It is this miscalculation that has led to the flip-flop (Kabhi haan, kabhi naa, if you will) nature of India's overtures towards its neighbours — and this is most evident in the on-off nature of ties with Pakistan. An understanding of how India is (correctly or incorrectly) viewed by its neighbours, tempered with an acceptance of how the neighbourhood views China is imperative in the formation of a pragmatic foreign policy for the region. Taking a long-term position and sticking by it until its requirements have been fully met is something that India has failed to do with its neighbours. The most glaring case in point is New Delhi's repeated optimism that "this time will be different" when dealing with Islamabad. If the government says, "Talks and terror cannot go hand-in-hand", then that is the line that must be toed through thick and thin. If the government says, "Nepal is a troublemaker", then that is the line to be toed regardless of what the Nepali prime minister du jour says. In summation, scripting and sticking to an unshakable long-term foreign policy that keeps in mind ground realities and perceptions is the need of the hour for India in the region.